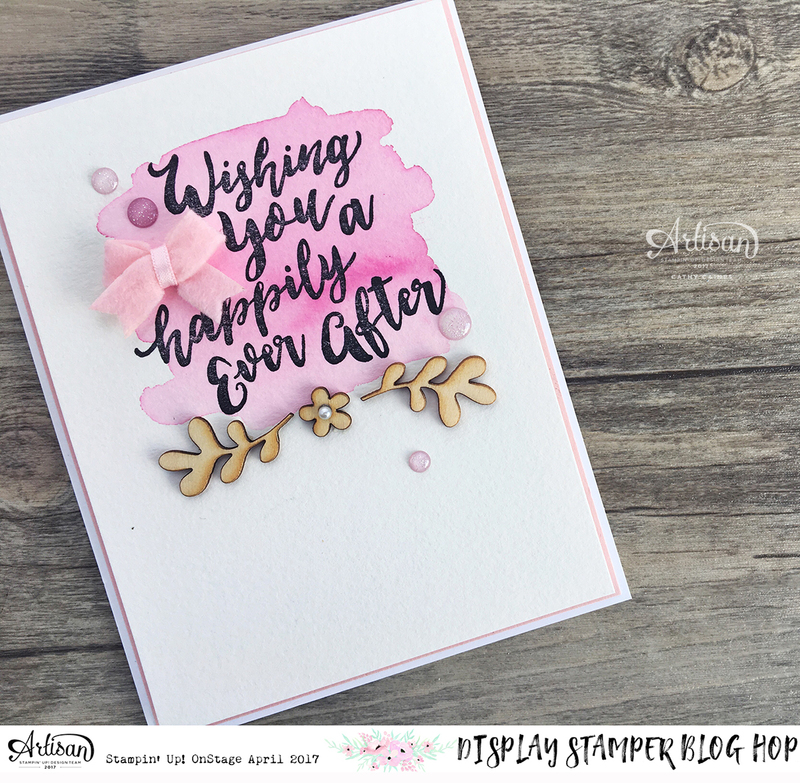 It's DAY TEN and our FINAL DAY on the Display Stamper Blog Hop! It's the final day and it takes a lot of time to do a blog hop like this lasting 10 days. It also takes a lot of time to create that many projects with limited products. 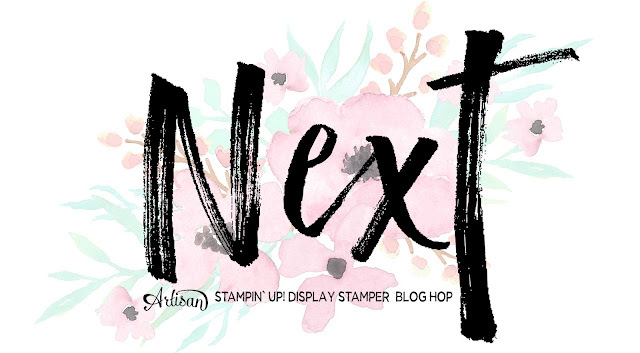 Big shout out to all the display stampers and in particular the Stampin' Up! Artisan Design Team. This card is again water coloured with the new in-colour Pink Powder. The embellishments including the enamel dots, itty bitty bow and wood veneers are all brand new products you'll see in the June 1st Stampin' Up! catalog release. Thanks SO much for dropping by every day. It's been a blast. Now on to Jessica Winter to see the amazingness that will sure to inspire you.